Cleo’s Wish is very well built with five reel slot and twenty five fixed paylines. The slot is based on ancient cultures of Egypt and it focuses on Egyptian Queen - Cleopatra. This Mobile Phone Slots has vivid graphics, pacifying animations and amazing soundtrack which adds glory to the slot. The minimum bet for a player is £30 per spin whereas maximum bet for a player is £60 per spin. The scarab beetles, bracelets, Cleo’s Wish logo and the ankhs are higher-value symbols whereas the lower-value symbol is represented by 9,10, J, Q, K, and A. The Cleopatra is wild symbol for Mobile Phone Slots and Pyramids bonus is scatter symbol of the slot. 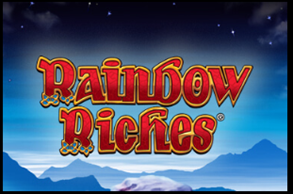 Free spins up to 5-10 can be rewarded in the feature. Any wild that displays during the free-spin can increase the Super Spins multiplier to a max 3. Max Super-Spins multiplier equals to 20x. Any scatter that will be shown in free-spins will be added to the max of 3 in Super Spins Spin Meter. 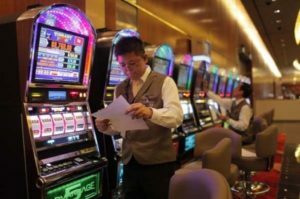 One can also reactivate Standard Free-Spins. In base game, maximum of 5 reels can get changed randomly to guaranteed Wild Reels. At Least 1 wild will land on reel for the spins. All symbols like bracelet, logo, the ankh and scarab will transform randomly in similar matching symbols. In base game, wilds can get added to any position randomly on the reel. The stacked wild symbol will appear on the reel five while all spins move 1 reel to left side. These will get added to reel during the free spins and any extra stack of Wilds will also move to 1 reel on left hand side on each spin. The 3 scatters will activate this feature. The free-spins will stop when the last stack of Wilds reach to extreme left reel. Cleo’s Wish is an entertaining and exceptional Mobile Phone Slots. This slot offers variety of gaming features which keeps its players attracted towards this slot. A whopping jackpot amount of 500 times of player’s stake can be won in the gameplay. Overall, the slot is worth your time. Try it now on Phone Vegas online casino.